Whether you need a new brick feature or repair to your existing brick, we can help. If you have brick features on your home, it can be challenging to find a contractor that specializes in that type of work. At New Age Contractors, we have a team of trained experts that are here to handle all of your brick repair needs. We can handle all types of brick work needs, including crack repair, brick replacement, and tuckpointing. Whether you need work on an entryway, chimney, or any other area, we're here to give you a quality solution. Call us today at 1-844-676-4349 or click below to get started on your next brick repair project. We offer free estimates in Summerville, Charleston, Mount Pleasant and throughout the surrounding areas. If you need any brick work services in your home, including repair, replacement, and tuckpointing, New Age Contractors are the local experts you need! 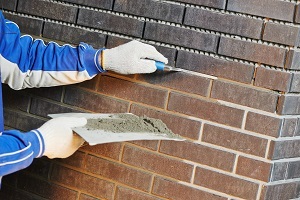 Call us today at 1-844-676-4349 or contact us online to learn more about all our masonry services. We offer free estimates in Charleston, Summerville, Mount Pleasant, Johns Island, Ladson, Goose Creek, Moncks Corner, North Charleston, Hanahan, Beaufort and throughout the surrounding areas.